These are the new devices from Huawei that are coming to Nepal this summer. Remember, the launch date is on 7th April and you can pre-order these devices starting from today. The pre-order period will last until 10th April. Huawei P30 Pro, P30, and P30 lite are the 3 phones in Huawei’s flagship lineup this year. These phones are the usual first-half flagship devices that Huawei releases as P-series. It hasn’t been a week since the launch of Huawei P30 Pro, P30, and P30 lite internationally, and they are already scheduled for launch in Nepal. Wow, that was quick. 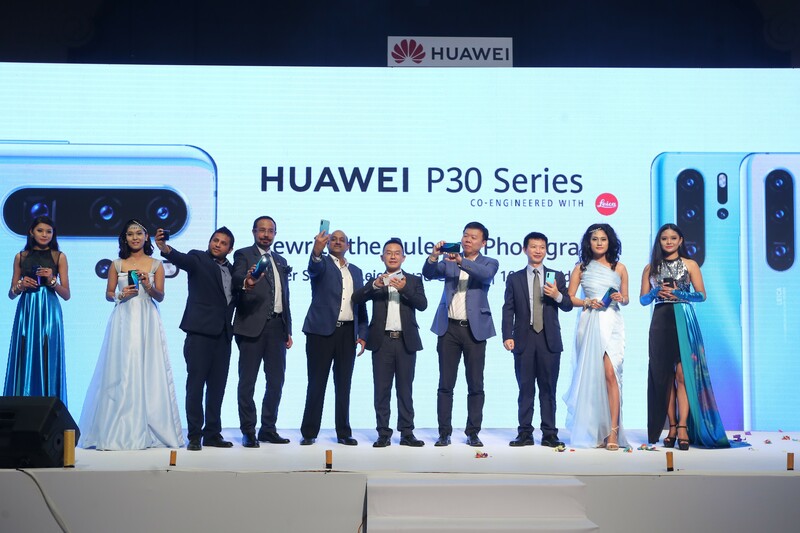 Huawei P30, P30 Pro, and P30 lite were officially unveiled in Nepal on 7th April in Hotel Yak and Yeti. The pricing was already disclosed when Huawei announced that these phones would be up for pre-order about a week ago. Huawei P30 Pro price in Nepal (8GB+256GB version) is set Rs. 119,900. Similarly, Huawei P30 price in Nepal (8GB+128GB version) is set Rs. 84,900 and Huawei P30 lite comes at Rs. 39,990. You can pre-book all these phones until 10th of April. We will include prebooking details for each phone in the respective segments below. 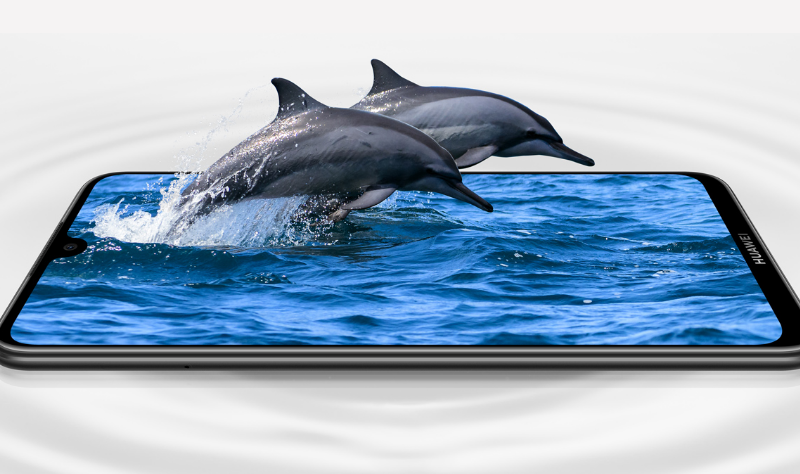 Huawei P30 and P30 Pro are flagship phones from the inside. So, I don’t even want to explain in length about the internal specs on these phones coz they don’t matter much. You’ve got the Kirin 980 inside both of them. The P30 and P30 pro both have 8GB of RAM; the P30 pro comes with 256GB. (Do you even need that much storage?) There’s an optical fingerprint sensor is under the screen. The only thing that you need to know is that these phones will handle everything that you throw at them – everything – with ease (Even games). Huawei P30 pro is a beast when it comes to cameras. It has a quadruple camera setup at the back (I prefer to call it 3.5 camera setup) There are 3 lenses to capture images, one time of flight sensor to capture depth information. The 40MP primary lens has been redesigned to let in 40% more light than traditional sensors. But that’s not even the coolest part. The coolest part is the third 8MP telephoto zoom that can give you 5X optical zoom, 10X hybrid zoom, and up to 50 times digital zoom!!! This camera is crazy. You will have to visit Huawei Showrooms to pre-order Huawei P30 Pro. You’ll get all the details regarding the procedure in the showroom themselves. You’ll get Huawei Freebuds for free if you pre-order this phone. 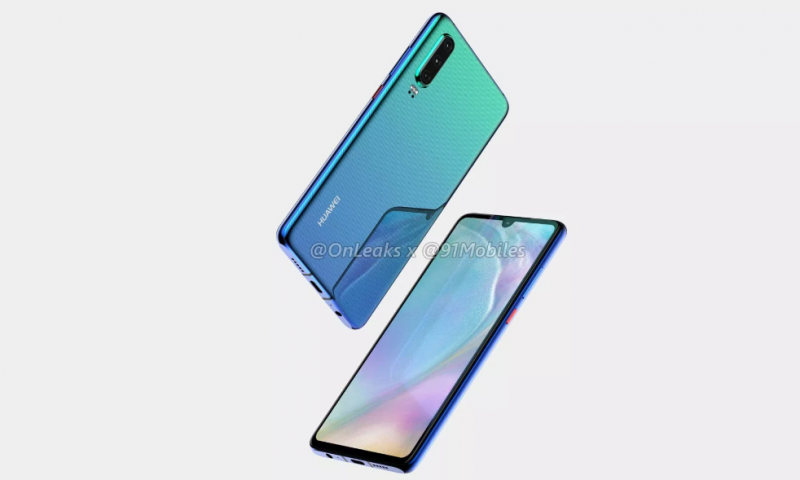 As I said earlier, Huawei P30 and P30 pro are flagship phones from the inside. You’ve got the Kirin 980 inside both of them. The P30 and P30 pro both have 8GB of RAM but the P30 comes with 128GB of storage instead of 256GB on the P30 pro. There’s an optical fingerprint sensor is under the screen. These phones will handle everything that you throw at them – everything – with ease (Even games). The real difference between the P30 and the P30 pro are the cameras. P30 doesn’t have that Periscope like zoom feature or the TOF sensor. But that doesn’t mean P30 doesn’t have a competitive camera. The main sensor is still the same and that’s what you’ll use in most situations. Also, P30 has a headphone jack! The P30 pro doesn’t. You will have to visit Huawei Showrooms to pre-order Huawei P30. You’ll get all the details regarding the procedure in the showroom themselves. You’ll get Huawei Freebuds for free if you pre-order this phone. Huawei P30 lite is a different phone than the P30 and P30 pro. It is definitely a mid-ranger; it’s similar to the Huawei Nova 3i in my opinion. This phone has a 6.15 IPS FHD+ IPS LCD display. This means the image will look sharp and crisp. We didn’t have any complaints with Huawei’s screens in the past. I don’t think this phone will be an exception. Inside, the P30 lite houses an in-house processor called HiSilicon Kirin 710 processor. If you have keen eyes and mind, you’ll notice that this is the same processor used in last year’s phones like the Nova 3i. But this is not that big of a problem because of the Kirin 710 is a powerful and efficient chipset as seen from the Nova 3i. This processor is paired with either 6GB of RAM and 128GB of internal storage. 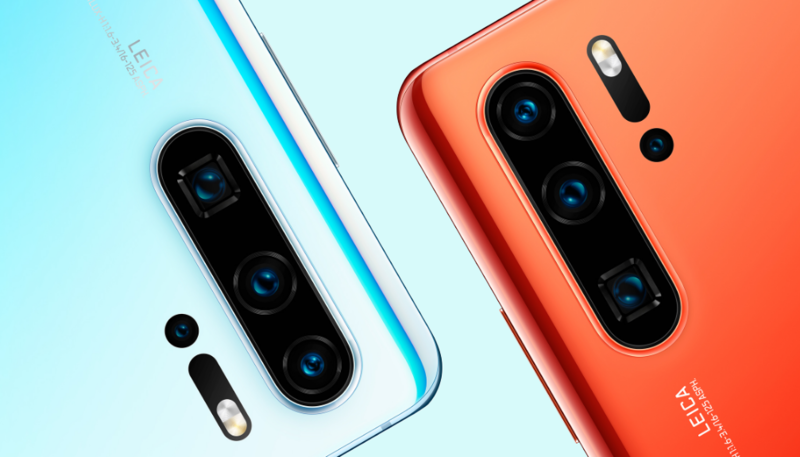 There’s a the triple lens rear camera setup: 24MP primary lens with f/1.8 aperture, an 8MP ultra-wide sensor and a 2MP lens for depth mapping. You can preorder the P30 lite through Daraz. You’ll get Huawei Smartscale for free if you pre-order this phone. 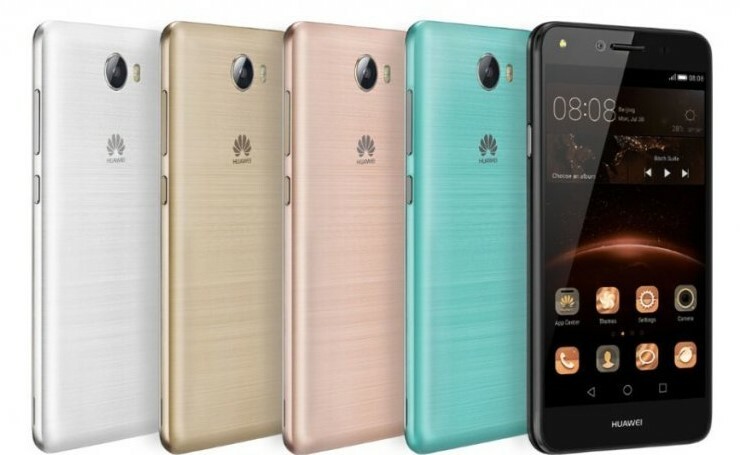 Huawei is saying that there is a facility of 0% EMI for the consumers if they buy their devices from HUAWEI showrooms. The banks that will support this EMI are Nabil Bank, Machhapuchchhre Bank, Mega Bank, Kumari Bank Siddhartha Bank, Global IME Bank, Century Bank, NIC Asia, NMB Bank, and Nepal Investment Bank.